IWSG - It's purpose is 'To share and encourage. Writers can express doubts and concerns without fear of appearing foolish or weak. Those who have been through the fire can offer assistance and guidance. 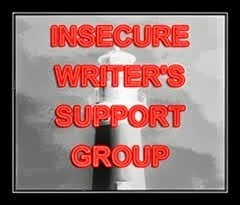 It's a safe haven for insecure writers of all kinds!' Find the website here. Seems we have similar financial concerns......So far 2014 has not been kind to us financially at all. At least you're not insecure about writing! That's one plus. Too true! Just heard I might need an op on my right hand, so will be worried about how to type with one hand, rather than what I've actually created! You are here. You posted. Come back again and tell us about the ceremony!